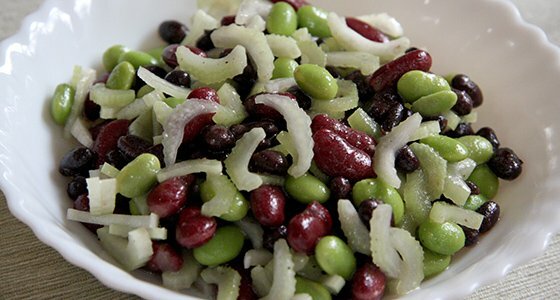 1/3 Ib Any of your favorite beans such as Red Kidney beans, black beans and Edamame in the photo. 1. You can use dry, canned or frozen beans. Prepare them accordingly. *You can enjoy the salad right away or prepare a head of time to allow the flavor to blend.